So The Amazing Spiderman #700 has finally dropped and I can FINALLY talk about it without having a whole post full of spoilers. 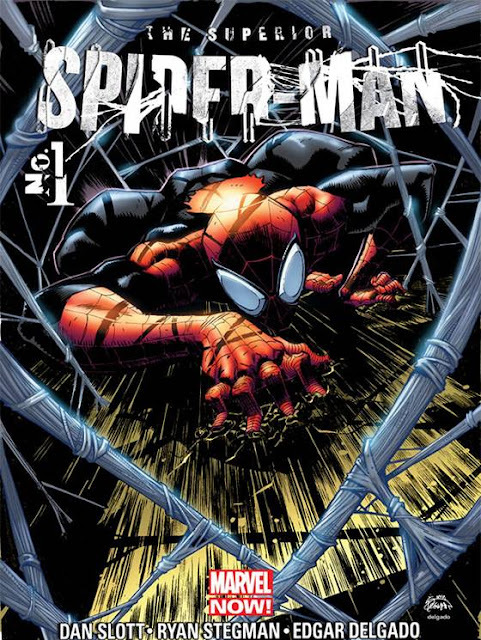 Since all of the hoopla leading up to this issue was that Peter Parker was gonna die I was hoping that Marvel wouldn't do the obvious. I was hoping they would flip it on some ole he dies for a minute like he's in a coma or something but that he comes back to save the day. I guess since Peter Parker/Spiderman is one of my favorite super heroes I didn't REALLY think that Marvel would kill off the dude who is the poster boy for your franchise. Now for a quick rundown on what's been going on leading up to issue 700, Doc Oc is on his death bed in prison and he wants to see Peter Parker before he dies. 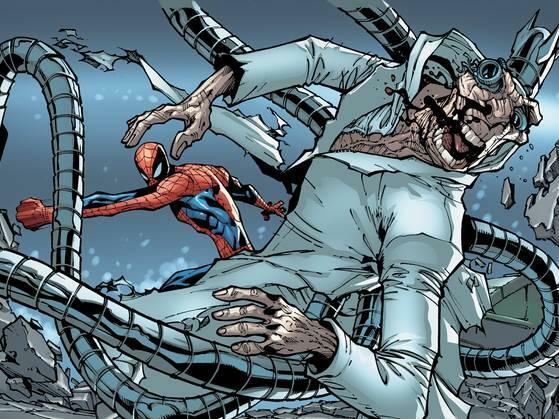 But when Parker comes to see him, somehow Doc Oc flips the script and switches his mind with Peter Parker's mind so now Parker is trapped inside Doc Oc's body who just happens to be about to die at any moment. 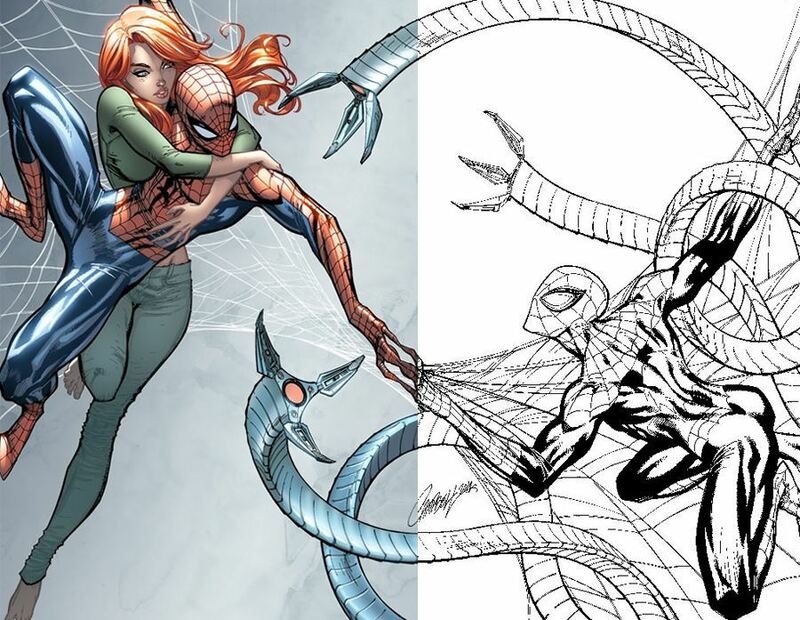 So while Doc Oc is out living life as Peter Parker, the real Parker hatches a plan to get some of Doc's cronies together to help break him out of prison. So with the real Parker out of jail but in the body of a dying man, the cronies who helped to break him out are now trying to hook him up to life support but do cronies EVER know what they're doing ? Nope. So they end up roasting Parker which sends him to Forrest Hills, Queens where he grew up but everybody he's running into is dead including Uncle Ben who tells him to get up and fight one more time. 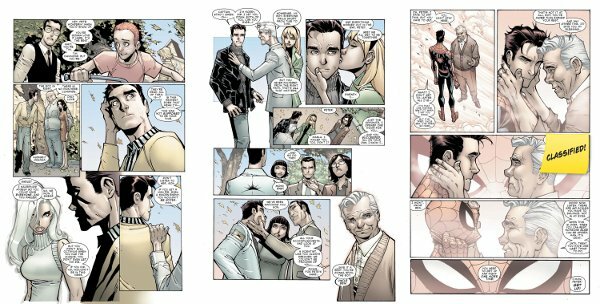 So maybe I was right about Marvel just doing a quick heaven scene, especially since these pages of Parker being back in Forrest Hill were the spoilers that were floating around the net. So, Parker gets back on his grizzly and hatches a plan to have his final battle with Doc Oc to get his mind back. The battle ends with Parker (in Doc Oc's body) throwing Doc Oc (in Spiderman's body) out the window of Avengers Towers and the fall almost kills the real Parker so it looks like Doc Oc is about to win. But Parker has one more scheme up his sleeve which is one of Doc's octobots to put Parker's current thought into Doc Oc's head. And with that done Doc Oc begins to see himself as Peter Parker growing up with Aunt Mae and Uncle Ben, being bit by the spider, becoming Spiderman, battling Venom, etc. and eventually somehow, someway Doc Oc realizes that he has to become Spiderman...the hero. So while Paker is taking his last breath, Doc Oc tells him that he'll become Spiderman and with his mind and ambition that he'll be an even better Spiderman then Pete ever was and that he'll be become...the Superiror Spiderman. So what do I think about the infamous issue 700? I really don't know...yet. What do I mean by that? 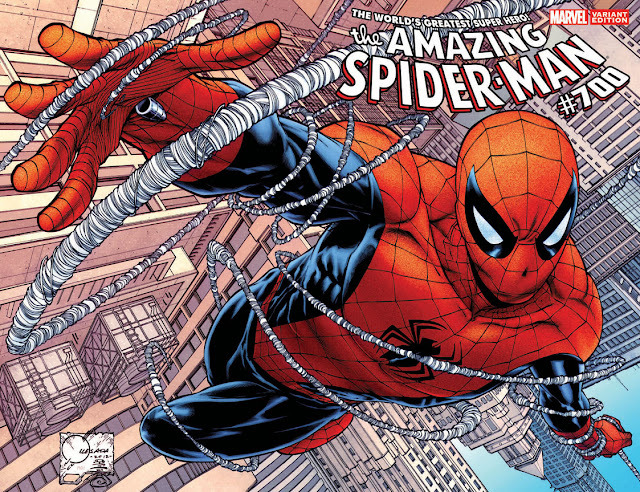 Well, my thought on issue 700 will depend on how this new Superior Spiderman series comes off. Cause right now, I don't know how I feel about Doc Oc as Spiderman. I mean, he's still in Peter Parker's body right? So is Parker gonna have more swag now? Is he gonna get back with Mary Jane or is he gonna start pimpin the hoes like Doc Oc would? Is he still gonna be Parker the nerd? Or Parker the thug? Is he gonna be a different kinda super hero, the kind that kills the bad guys and not the one who locks them up? So how Marvel goes about answering all of these questions with this new series will help me evaluate how I feel about issue 700. If they drop the ball on this new series then me (and probably every comic book head) will be slaughtering the powers that be over at Marvel for screwing up what many call the most popular comic book character EVER! I'm also wondering is Marvel killing off all of these characters (Peter Parker, Doc Oc, the Kingpin, Daredevil and Professor X) to try to increase readership and trying to get more folk into comics again cause if they are they're playing with some SERIOUS fire! It's not like they're killing off some off brand characters, these dudes are killing off prime real estate characters! But I guess with DC's New 52 getting great reveiews from all over the place (including me) Marvel is feeling the heat to do something. I just don't know if that "something" is killing off some of their best characters...but I guess only time will tell.